This postcard was published by the Women’s Suffrage Atelier (London) in 1909. 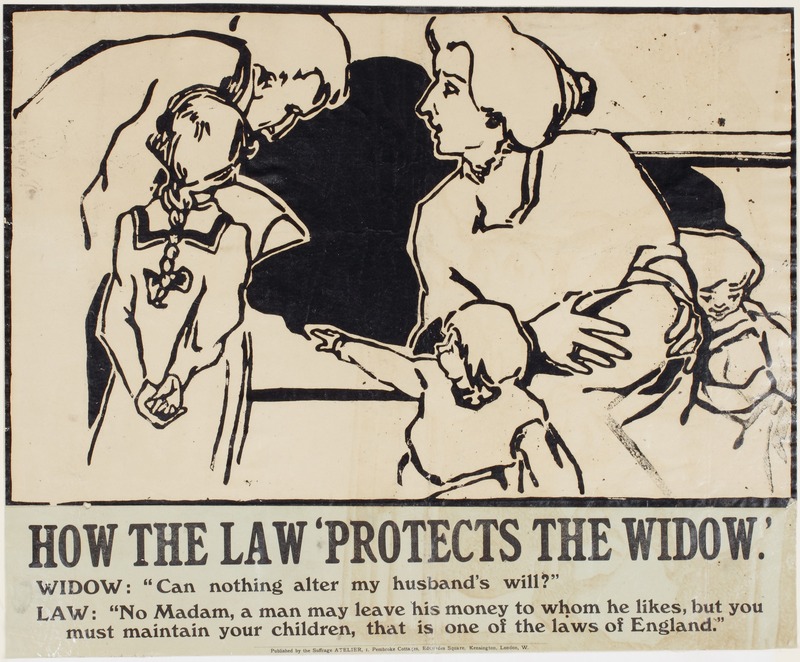 The fight for women’s right to vote was in full swing, and the postcard illustrated just how badly English laws protected women, and particularly widows with children. The postcard highlighted that, when it came to childcare, it was a woman’s legal duty to look after her children, while her husband had no duty to provide for her or them in his will. The postcard presents us with an exchange between a representative of the law and a widowed mother of three children. “A man may leave his money to whom he likes,” the solicitor tells the widow, “but you must maintain your children, that is one of the laws of England”. Since the Guardian of Infants Act (1886), a mother was appointed guardian of her children in the event of her husband’s death. This meant she was legally obliged to care for them, even though there was little help available to assist her with the cost of clothes and food now that her household had lost its main source of income. Her husband was not obliged to leave her any of his property, and widows were often forced to piece together support from friends and family, charities, and through the Poor Law. 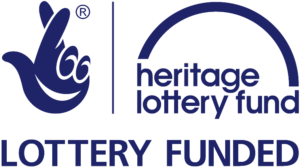 The Poor Law allowed them to receive so-called outdoor relief for the first six month of their widowhood; that is, they were entitled to assistance in the form of money, food, clothes, fuel, and medical care without having to enter the workhouse. If you’d like to find out more about how widows coped before the introduction of war widows’ pension during the First World War, please take a look at our History page, where you’ll find a post dedicated to the Victorian Period, and much more information about how state provision for war widows has changed over the centuries.